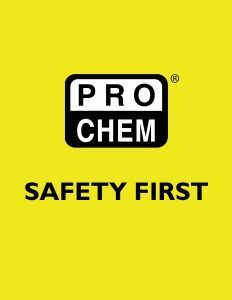 Spill Control Kits | Pro Chem, Inc. Strategically located Spill Response Kits help meet EPA/OSHA requirements for Spill Prevention Control & Countermeasures (SPCC). Perfect for incidental leaks & spills. Containers protect sorbents from handling & environmental effects. *Not for use on hydrofluoric acid or HF compounds. Same as the 55 gallon kit but contains (4) 4 ft. socks, (2) cartons safety sorbent, (5) pads & (2) disposal bags. The BATTERY ACID SPILL KIT provides a safe and effective method for controlling small acid spills. * For use in vehicles, battery charging stations, telephone cell sites and other locations with acid spill exposure. 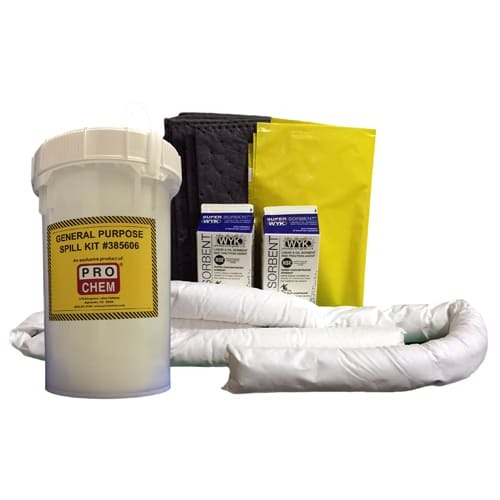 The spill kit is an efficient method to neutralize and absorb acid spills. This kit provides visible color change to indicate complete acid neutralization. It also helps meet your Regulatory Requirements: OSHA 1926.441 & 1910.178. Absorbs up to 1.2 gallons. Our HAZMAT SPILL KIT is safe to use on all liquid* spills. Placing the HAZMAT SPILL KIT in stragegic locations helps meet EPA/OSHA requirements for Spill Prevention Control & Countermeasures (SPCC). This spill kit comes in a clear, zippered bag that protects the sorbents from environmental damage. This zippered bag also makes the spill kit very portable and an excellent option to keep in vehicles. Absorbs up to 6 gallons.